Dr. Jessica Fleishman's Laser Center for Sight (Brooklyn) - Book Appointment Online! We are dedicated to optimizing your vision and ocular health through personalized attention and state of the art care, making sure that your sight and overall eye health is the very best it can be. 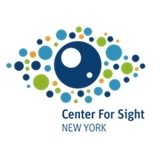 For more information on all our services please visit www.CenterForSightNY.com (in English) or www.CentroLasik.com (in Spanish). Please make sure to bring a referral from your primary care doctor if your insurance requires it. Besides the very best in Lasik surgery, performed in collaboration with Lasik Plus Brooklyn, we also offer the most comprehensive care for cataracts, retina conditions, and glaucoma. General eye care is also available to anyone who is looking for a basic eye exam. Came for a contact prescription update. While she did it and did it well, she spent most of the appointment trying to pressure me into getting corrective surgery. Overall, fine for someone I need to see once a year.